On a high level the practice of e-discovery law is divided into two different types of services, litigation and non-litigation. 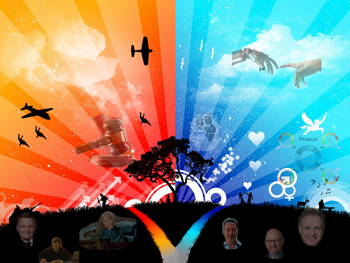 That is also the way most law firms are divided. It’s like War and Peace. The more traditional e-discovery legal services are those involved with litigation. But there are also e-discovery legal services that are outside of litigation. Most are concerned with preparation for litigation and production demands, to be sure. But they are not part of any suits or subpoenas. I refer to these non-litigation services as litigation readiness services, primarily because I have spent my professional life on the War side. I am a career litigator, and so tend to see everything from that perspective. With this duality in mind I can share an observation. In the past decade there has been tremendous growth in all types of legal services in electronic discovery law. But the biggest growth area recently has been on the non-litigation side. There is also a move within the ranks of e-discovery professionals from litigation to non-litigation. The highly publicized career change late last year of Jason R. Baron is a perfect example of this. He went from the Director of Litigation for the U.S. National Archives and Record Administration to Of Counsel in the Information Governance and eDiscovery Group for Drinker Biddle & Reath LLP. He is also the Co-Chair of the newly formed Information Governance Initiative (more on that later). 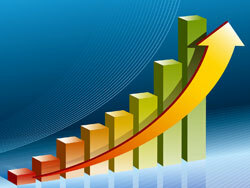 I predict that the growth of non-litigation e-discovery services will expand dramatically in the next few years. This means more employment opportunities will become available in non-litigation. This blog will explore further what those services are. As I always used to say at the end of demand letters: PLEASE BE GOVERNED ACCORDINGLY, especially if you are positioning yourself for new or better employment. As to why non-litigation is now growing faster than litigation services, the answer is simple. It is all about the economy. It’s about money. We are finally coming out of the Great Recession. Companies can finally afford to do more than the basic e-discovery necessities. You cannot just ignore a law suit and hope it will go away (although I have seen the strategy succeed a few times over the years). But you can ignore non-litigation problems. They will not go away either. In fact, they only keep getting worse, especially in the area of e-discovery where Big Data just keeps getting bigger every year. But you can put them off until you get a budget to address them. The budgets are now finally coming. In most Fortune 1000 companies upper management is now aware of the problems of e-discovery. Many also know, or have heard, that there are fixes available having to do with better information management, typically reducing data size. Many are also coming to understand that they can no longer afford to put off addressing these problems. Long neglected non-litigation e-discovery tasks are finally reaching the top of the stack. This is a smart move because, unlike litigation, these tasks will make the rest of e-discovery go much easier and with less expense. They will easily pay for themselves. They can also improve business intelligence and worker productivity. Some people even think, myself included, that an emerging new non-litigation service, data analytics, may one day eliminate litigation entirely. But, fellow litigators, do not worry, that day is still several decades away. 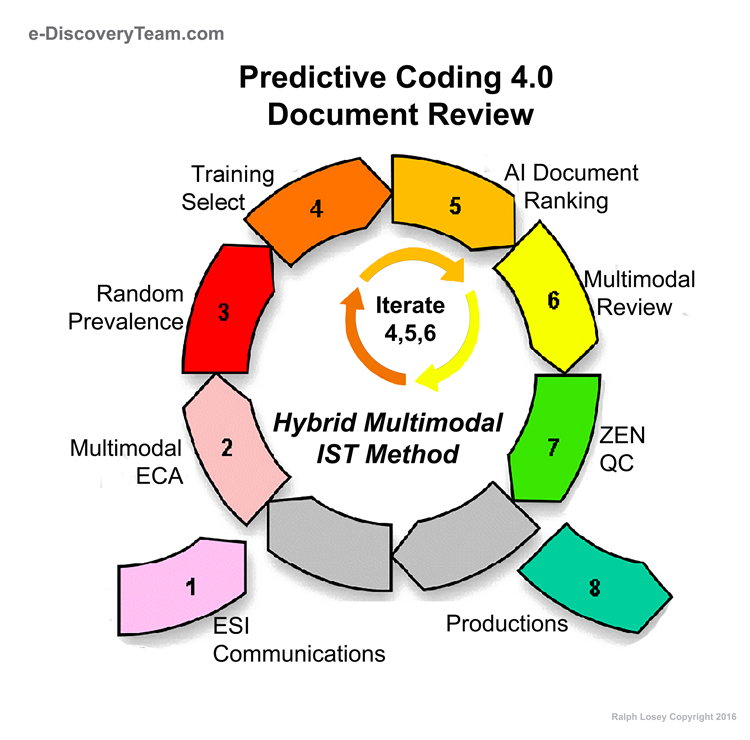 In the first days of e-discovery modeling, pioneered by the EDRM model, Identification was the first step in electronic discovery. Records Management was, however, soon added as the first step preceding Identification. Later that become Information Management. And so the EDRM has sat for the past 17 years or so, although they have recently created new, more elaborate models for Information Management. In the EDBP model of legal services, which I helped establish in 2012, and is shown above, the first step is Litigation Readiness. Like the EDRM model of all services, which includes non-legal vendor services, this is the only step in the non or pre-litigation side. As mentioned, it seems to me that the amount of time spent by e-discovery lawyers, myself included, in such non-litigation services has grown at a much faster rate recently than any of the other steps, except maybe the Computer Assisted Review step. (Even with CAR I think it is more growth of importance, and effectiveness, as opposed to growth in employment.) Now that the Great Recession is ending, the first step of Litigation Readiness should take off at an even higher growth rate. 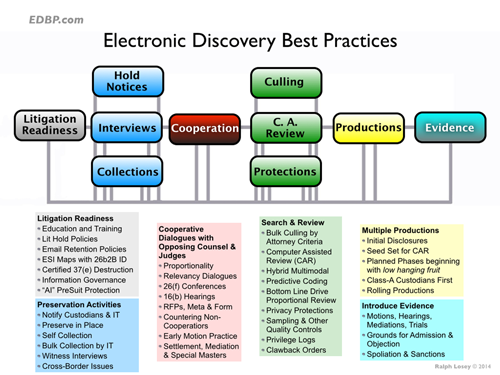 Here is the latest description of these legal services from Electronic Discovery Best Practices. You may be especially interested in the Information Governance services, and PreSuit™ services, both of which are described at the end. Artificial Intelligence based PreSuit protection (sort of like the Minority Report movie, but for civil wrongs, not crimes, and it’s not fiction, it’s real, albeit, cutting edge, and, oh yeah, Tom Cruise is not involved). General. Litigation Readiness activities, which constitute the first pre-suit step of EDBP, are designed to facilitate the next four steps of EDBP: 2. Hold Notices, 3. Interviews, 4. Collections, and 5. Cooperation. These four steps occur in almost every case, even if discovery is stayed or the case is resolved early. Thus maximum efficiencies can be attained by establishing set procedures to follow for Hold Notices, Interviews, Collections and communications with opposing counsel and court. Taking the time to prepare policies and procedures for e-discovery in litigation allows an organization to avoid expensive ad hoc inventions and variations. Litigation Readiness, when done correctly, should allow for substantial savings on future litigation expenses and reduce risk. Conversely, the failure to create and implement a reasonable litigation readiness plan, including ESI retention policies and lit-hold policies, can have a detrimental effect on preservation activities once litigation strikes. This is shown in Scentsy Inc. v. B.R. Chase LLC, No. 1:11-cv-00249-BLW, 2012 WL 4523112 at *8 (D. Idaho Oct. 2, 2012). Also see: Losey, R., Oral Hold Notice Invalidated as “Completely Inadequate” such that it “Borders on Recklessness” (2012). Education and Training. There is a rapidly growing body of legal knowledge that should be learned by any attorney or paralegal that practices in this field of law, just like any other. There are also special skills that require training. Education and training are an important part of the practice of law in general, but no where are they more important than in electronic discovery. This field is so new, and advancing so fast, that it is very hard even for specialists that do nothing but e-discovery to keep up. As a consequence, everyone in this field must be both student and teacher. We must all spend time to train and be trained. I personally spend a great deal of my time in this non-litigation area of e-discovery. I teach both my own attorneys and paralegals in my law firm, and corporate counsel departments of several of our clients. The later is a billable activity. Teaching is part of legal services today, and there are many special skills involved in doing it effectively. Policies for Hold Triggers. Organizational policies and procedures should be created to govern how an organization will determine when Litigation Holds should be triggered. See The Sedona Conference® Commentary on Legal Holds: The Trigger and the Process, September 2010. Policies for Hold Implementation. Related policies and procedures should be created for the implementation of the Holds. These written policies must be tailored to the particular needs of the organization and have built-in levels of proportionality of response. Id. The flow chart below adapted from the Sedona Commentary can be included as part of an organization’s standard policies and procedures. Email Retention Policies. Written policies should be created or updated that are tailored to the particular needs of the organization and coordinated with the litigation hold procedures. This requires careful study before adoption and may involve different retention times for different classes of employees. See: The Sedona Conference® Commentary on Email Management, August 2007. Maps of ESI with Rule 26(b)(2)(B). High level maps should be created that include designations of inaccessibility under Rule 26(b)(2)(B). Although detailed mapping of information systems and locations of ESI is no longer favored because of the high rate of change most organizations experience, at least some high level mapping is helpful for any complex systems. The creation of these maps is an IT function, not legal, but the designation of certain areas within the ESI storage architecture as protected under Rule 26(b)(2)(B) is an important legal service. See: The Sedona Conference® Commentary on Preservation, Management and Identification of Sources of Information that are Not Reasonably Accessible, August 2008. So too is the preparation of one or more IT representatives to provide depositions, affidavits, 26(f) conference input, and 16(b) hearing input to opposing counsel and the court. Certified 37(e) destruction. Old ESI that is no longer needed by the organization should be purged from systems, but this must be done in a manner that tries to bring the process within the semi-safe-harbor protection of Rule 37(e), Federal Rules of Civil Procedure, and complies with all existing litigation holds. Great care must be taken to avoid destruction of ESI that might be subject to a litigation hold and these efforts must all be carefully documented. 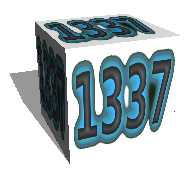 The destruction is guided by the Rule 37(e) requirements of good faith and routine operation of an electronic information system. Even if this rule is revised as anticipated. These principles will still stand. Depending on the circumstances, typically situations involving large scale data purges, an organization may want to have a third party supervise, audit, and certify good faith and compliance with mandated routines. These routines and retention policies should be completed and in place before the destruction of data. Outside counsel can serve as an independent auditor to certify that the ESI destroyed was not subject to holds and was otherwise carried out in good faith so as to entitle the organization to Rule 37(e) protection. Also see generally: The Sedona Conference® Commentary on Inactive Information Sources, July 2009. For good suggestions on mistakes to avoid in 37(e) purges, which in turn also suggests particular procedures to follow, including creation of a log or record of what was destroyed, see the final installment to the Rambus litigation saga examining the plaintiff’s shred days before filing suit. Hynix Semiconductor Inc. v. Rambus Inc., Case No. C-00-20905 RMW, USDC ND Calif. (Sept 21, 2012). See: The Sedona Guidelines: Best Practice Guidelines & Commentary for Managing Information & Records in the Electronic Age, November 2007; The Sedona Conference® Commentary on Information Governance (Dec. 2013 (describes eleven principles on IG practice that all organizations should strive to adhere to). As you can see they consider e-discovery to be a subset of Information Governance. In that sense the Information Governance activities go beyond the scope of the EDBP, which is limited to a collection of best practices for electronic discovery. Artificial Intelligence based PreSuit protection. This is the use of predictive analytics of corporate email, and other ESI, to detect and prevent law suits before they happen. See: PreSuit: How Corporate Counsel Could Use “Smart Data” to Predict and Prevent Litigation. I call this data analytics based program PreSuit™. It is based on search methods I have developed. It is not tied to any specific predictive coding software, although the software must have certain basic minimum capabilities. These are listed along with other details of the program at PreSuit.com. I have heard rumors that a few other attorneys are also beginning to develop such software agnostic services under the general name of email analytics. A few vendors have developed software specifically designed for this task, including one called Email Auditor by UBIC. I know that several others are now under development. I am unsure of how or whether they can be used with the methods I have developed. PreSuit™ has the potential to become the ultimate in corporate compliance. It can detect burgeoning misconduct in the workforce so that corrective action can be taken to avoid litigation. It relies on the use of what I call “smart data,” which is ESI that includes a probability of connection with wrongful conduct. For full details see PreSuit.com. It may sound like Minority Report science fiction, but AI-enhanced review now makes this kind of Big Data analytics possible. Also See LegalSearchScience.com. PreSuit™ works by realtime monitoring of an organization’s email communications to identify correspondence and connections that have a high probability of association with illegal and wrongful actions of all kinds, including discriminatory conduct, other kinds of torts and statutory violations, breach of contract, fraud, trade secret theft, etc. By using artificial intelligence to audit and analyze corporate communications, and other ESI, wrongful conduct can be detected early, before it matures into litigation. General counsel can take appropriate corrective actions before the conduct becomes even more serious and expensive to correct. PreSuit™, once fully developed, will be the ultimate in litigation avoidance. The ultimate in corporate compliance. 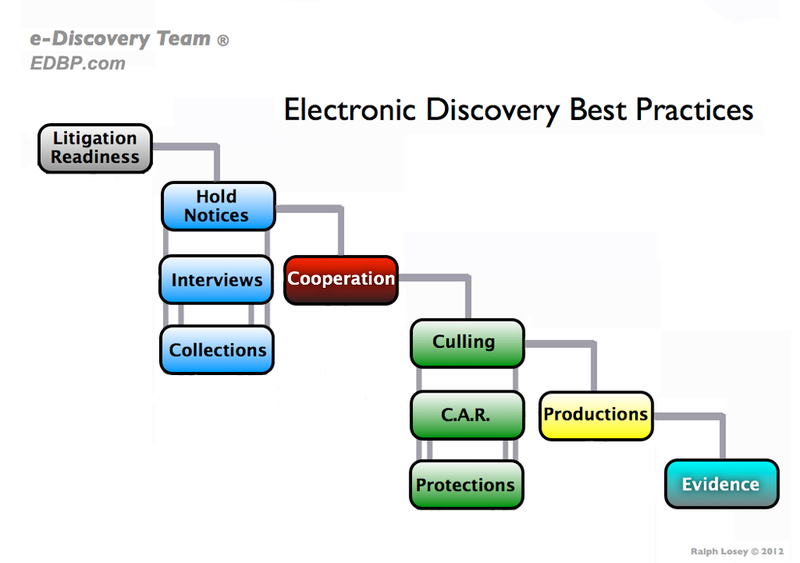 Are you an e-discovery specialist stuck in one of the nine litigation steps of the EDBP? Perhaps you are one of the tens of thousands of contract review lawyers about to lose your job to artificial intelligence? My best advice is for you to move to the far left. 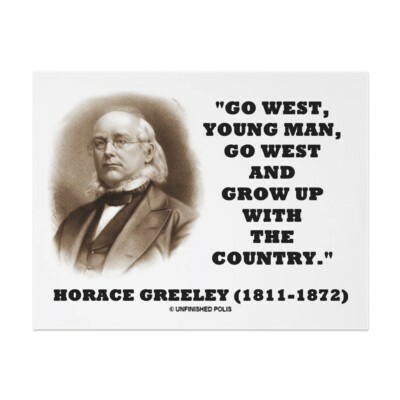 Go west, young man, go west! Go from war to peace. Go study library science, or something like that. Learn about records management, privacy, and data security. Privacy right now is a very hot field. So is data breach and security. Go study encryption and hash. Get in on the newest technologies. Learn more about IT systems. Get a degree in computer science to round out your law degree. Build your own computer. Build you own robot. Look for ways to automate the law, to apply artificial intelligence to legal practice. Study information science and Big Data analytics. I do. Learn about the Information Governance Initiative. Got tons of knowledge already? Go into teaching. The law schools and colleges need what you know. Study up on all of the non-litigation services described here. And watch out for new services in this area that seem to be popping up every day. Talk to vendors. Consider working for them. They need good legal minds. Most of the e-discovery work will remain in the nine steps after Litigation Readiness in the EDBP, but the growth rate will not be as high. Get in on the groundswell while the field is young. There may be ten different kinds of legal services in electronic discovery, but for right now at least, one is hot. This entry was posted on Sunday, March 9th, 2014 at 4:44 pm and is filed under Evidence, Lawyers Duties, Metadata, Related Legal Webs, Review, Search, Technology. You can follow any responses to this entry through the RSS 2.0 feed. Both comments and pings are currently closed. I am in complete agreement. Using The Posse List … my e-discovery/litigation support job posting service with 55,000+ subscribers world-wide … as an indicator, over the last 2 years we have seen non-litigation e-discovery services job postings … what you quite properly call litigation readiness services … exceeding job postings on the litigation side. You are spot on … once again. Ralph, thanks for those IGI mentions! Another terrific resource is The Sedona Conference® Commentary on Information Governance, freely available at Sedona’s website (www.thesedonaconference.org). The publication, edited by WG1 Chair Conor Crowley, provides 11 principles on IG practice that all organizations should strive to adhere to. 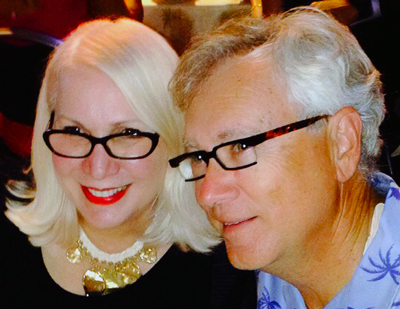 Also, Sedona and ARMA are teaming up for an inaugural conference on IG, to be held at Amelia Island, Florida, April 14-15 2014, and I encourage readers of your column to consider attending.